It turns out the UK already has the ‘virtual driving licences’ recently proposed for foreign drivers in France. 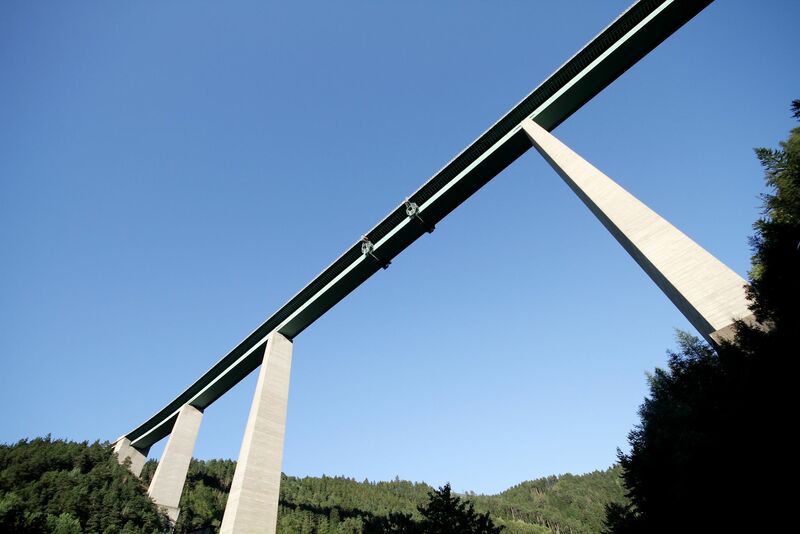 Also, substantial truck toll cut on the A13 Innsbruck Brennerbahn. Hefty detour during A2 Dover overnight works. Proposed Weymouth-Cherbourg fast ferry postponed again. Another significant drop in Luxembourg fuel prices. Foreign already drivers subject to ‘ghost’ licence points and on-the-spot fines. The UK might not market its world leading road safety record as aggressively as next-placed Sweden, but its influence is felt nonetheless. After Germany’s apparently failed attempt to emulate the British ‘foreigner vignette’ – albeit for car drivers rather than truckers – it emerges the UK already has a system of ‘ghost’ or ‘virtual’ driving licences for foreign drivers, as recently proposed in France. 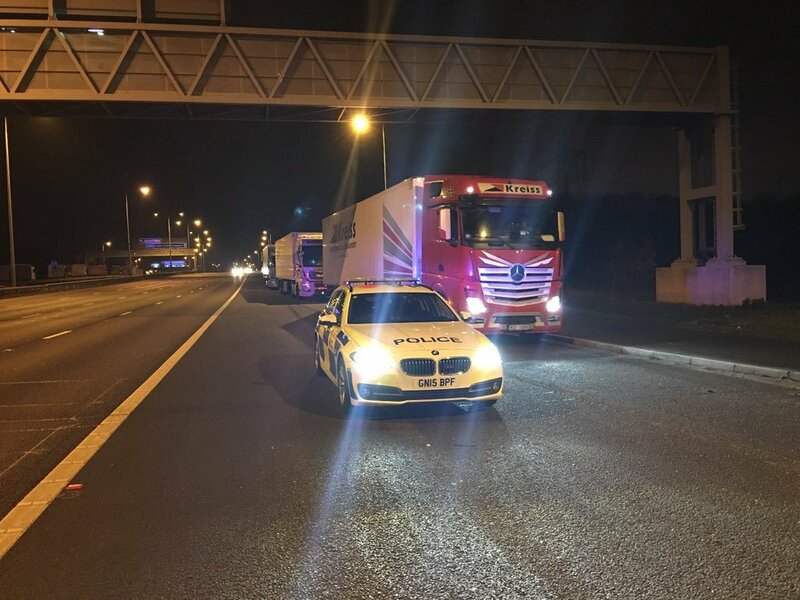 Kent police yesterday fined several trucks for parking on the hard shoulders and slip ways of the M20, including one vehicle abandoned on the carriageway while the driver apparently went shopping. The majority of the vehicles involved were foreign registered. It follows a tragic incident early on Sunday morning when a woman was killed after colliding with a truck on the M20 slip road at J7. Another driver whose truck was removed from the M20 slip road at J9 coast bound was fined £300 plus three penalty points. Hard shoulder parking is a live issue currently due to the lack of truck parking in south east England, on the roads to and from the Channel ports, as highlighted by the debate over a new M20 truck park to replace Operation Stack. France announced in October it will introduce virtual licences for foreign drivers as part of a raft of new measures to improve road safety. Earlier this year, Germany delayed plans to introduce a road toll for foreign drivers – modelled on the successful UK HGV Road User Levy – after objections from the EU. roundup: DOVER. The A2 dual carriageway between the Channel and the M25 will close overnight for two months in the New Year says Kent Online. Stretches of both carriageways between the end of the M2 at Faversham and Canterbury will be resurfaced, starting coast-bound. The diversion is a hefty extra 14 miles. CROSSING THE CHANNEL. The proposed Weymouth-Cherbourg high speed ferry service has been postponed again. The operator concerned, High Speed Ferries, needs ‘further financial backing’ Weymouth Council told the BBC. The firm will make a ‘formal announcement’ in the New Year. It was originally slated to start this autumn then postponed to April 2015. LUXEMBOURG. Following the 2.3c/l fall in the price of diesel on Saturday – to a nationally regulated price of €0.946 – petrol has fallen by an even greater margin today. According to Wort.lu, unleaded95 is down 3.1c to €1.094 and unleaded98 to €1.151. ← What Might Marine Mean for the Calais Migrant Crisis?